Oh man I’ve needed this app for awhile. Thank goodness for friends who share what free + delightful apps they’ve discovered. A ridiculous story: I lost my 1 teaspoon, months ago, and somehow I got it into my head that I should find some beautiful silver or ceramic, or french pottery, or whatever at a flea market and that would replace it. So here I am, months later, (a meticulous measurer, mind you) using my half-teaspoon for everything. 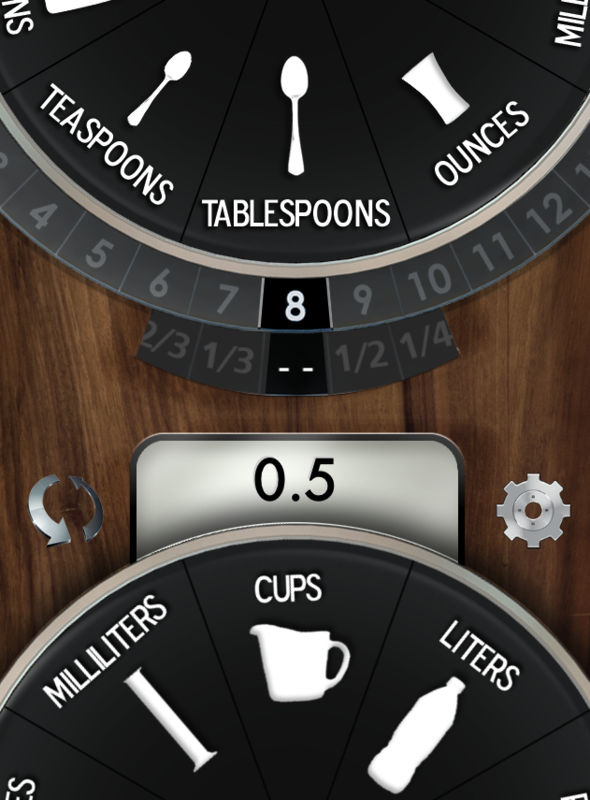 The free and beautiful designed Kitchen Dial app. 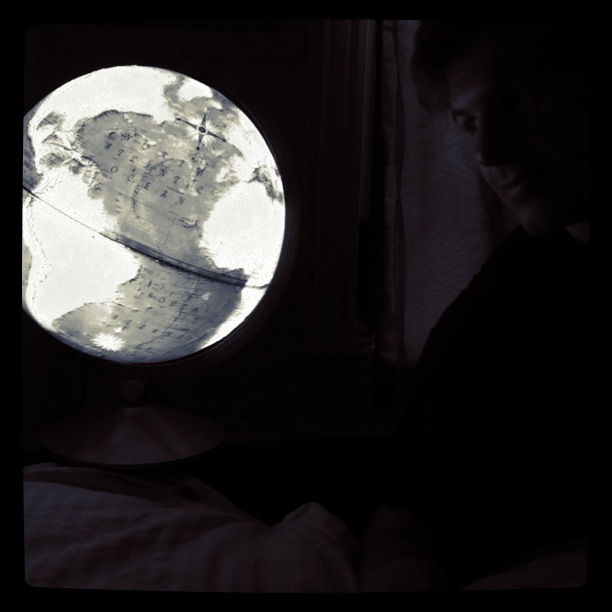 an instagramed photo of Joe's dumpster-dived globe. Our new nightlight! Are you all Instagram fans? It’s an app for sharing photos (and using interesting filters) on iPhones. I gave it a try a couple months ago, and didn’t quite catch on, but these days I’m addicted. There’s something very appealing about seeing tiny little snapshots of other’s daily lives. It’s my favorite app to check when I’m waiting for the T.
If you’re on there, you can find me under girlpolish, and I would love to follow you back! My guide to how to best supply your kitchen, on Amazon.